Much of the Nordic Region is bound together by languages so closely related that, with a little effort, most people understand each other. Other languages spoken in the Region are less closely related, and English is gaining ground in both professional and cultural contexts, which represents a challenge to our understanding of the neighbouring languages. The linguistic community of Danish, Norwegian and Swedish speakers is also under threat in other ways. Our expectations of and attitudes towards the extent of our mutual understanding affect how we interact with people from neighbouring Nordic countries. These expectations and attitudes are based on, among other things, how often we encounter the neighbouring languages in our day-to-day lives. For example, in 2016, the Norwegian online drama SKAM(Sham) generated considerable interest in the Nordic language community among young and not-so-young people across the Region. Certain words and phrases from SKAM achieved an almost cult status among fans. Time will tell whether any of these loan words from SKAM will endure as slang, or even everyday terms, in other Nordic languages. Upper-secondary teachers across the Region have used the series to focus on and work with the neighbouring languages and to explore shared Nordic cultural and social references. It will be interesting to see what impact a youth-culture phenomenon like SKAM will have on the teaching of neighbouring languages in the long term. SKAM made a difference to many fans’ expectations about whether they would be able to understand Norwegian. This is just as important as formal teaching in the neighbouring languages, which might otherwise have had a somewhat limited effect in the long run. Instead, the idea that learning Norwegian is easy – or even fun – will have a lasting effect on the SKAM generation. Historically, many of the people of the Nordic countries were able to understand each other. This linguistic community transcended borders and helped to bind the Region together culturally. The sense of community in the Region is the result of linguistic and historical conditions. For centuries, the Nordic states and autonomous territories have been part of various unions and other formal communities, as a result of which Denmark, Norway, and Iceland have close cultural links – as do Finland and Sweden. These relationships became interwoven – and further strengthened – by the Norwegian-Swedish union and the by Greenland and the Faroe Islands being an autonomous part of the Kingdom of Denmark and Åland being an autonomous part of the Republic of Finland. Norway gained its independence in 1905, Finland in 1917 and Iceland in 1944. Previously, these countries’ administrative, educational and church language was either Danish or Swedish. They had also shared a literary history and a linguistic and cultural community, and this continued – at least to the extent that the Nordic nations and people saw fit to maintain it. Most of the Nordic languages are part of the Indo-European family. Faroese, Icelandic, Norwegian, Danish and Swedish are all North Germanic languages that stem from the same common tongue spoken by the Vikings. Since then, the languages have grown apart from each other and separated into western and eastern branches, with Danish and Swedish on the one hand, and Norwegian, Faroese and Icelandic on the other. Faroese and Icelandic constitute the Island-language group. They are not mutually intelligible with what are known as the mainland Nordic languages, i.e. 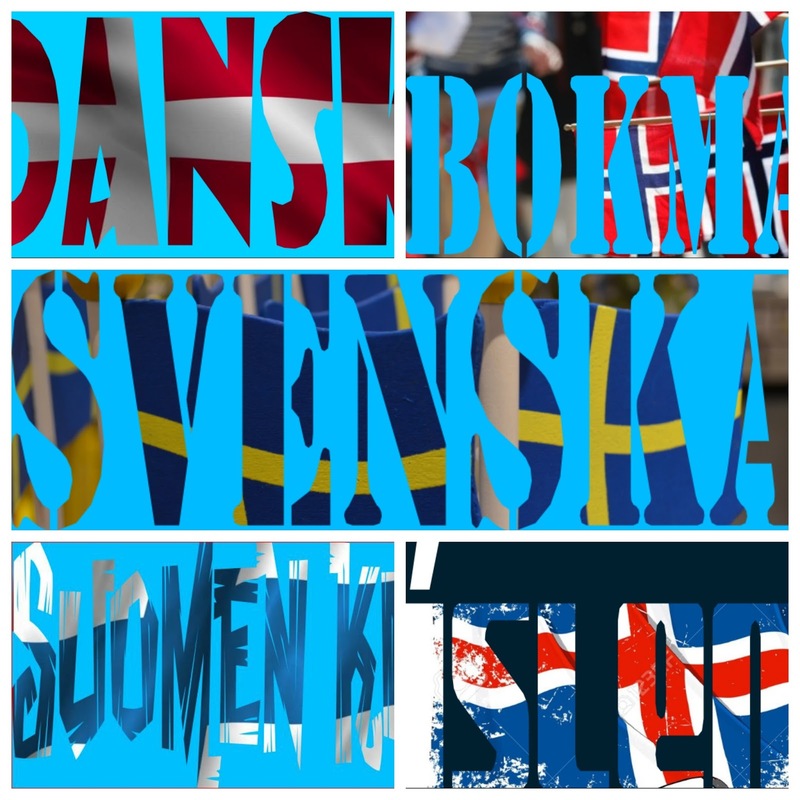 the Scandinavian languages Danish, Norwegian and Swedish. This is due to, among other things, divergent developments in pronunciation. In other words, they have different sound systems. Pronunciation differences are the biggest cause of problems when it comes to understanding neighboring languages. Nowadays, perhaps surprisingly, there is a greater degree of understanding between Norwegian and Swedish than between Danish and Swedish. The Finnish and Sámi languages belong to the Finno-Ugric language family. Sámi is spoken in the north of the Nordic Region, in Norway, Sweden, and Finland. Small minorities also speak Karelian in Finland; Kven in Norway, and Meänkieli in Sweden, languages not readily understood by speakers of the main Nordic languages. Greenlandic (or Kalaallisut) belongs to the Inuit branch of the Eskimo-Aleut languages, i.e. a third language family, and is spoken in Greenland. It is related to a number of languages spoken in northern Canada and Alaska. As well as the spoken languages, the Nordic countries also have their own national variants of sign language, which are again divided into eastern and western branches. Finnish, Finland-Swedish and Swedish sign language are closely related, as are Danish, Norwegian and Icelandic. Greenlandic and Faroese sign language is based on Danish, with some national variations. Danish, Finnish, Norwegian, Icelandic and Swedish (including Finland-Swedish) are all official national languages. Along with Faroese, Greenlandic and Sámi, they are the languages that our societies and culture are based on. Nordic Sign Language also occupies a special position in the Nordic societies. The Declaration on Nordic Language Policy explains the status of the languages and of key areas of Nordic language policy. Responsibility for following up on the Declaration lies at the national level, but Nordic co-operation is designed to support those national efforts. Danish, Finnish and Swedish are also official languages of the European Union. Danish is an official minority language in the German state of Schleswig-Holstein. In the South Schleswig area, Danish has been one of the several official languages since 2015. Finnish is recognised as a minority language spoken in the Republic of Karelia, in north-west Russia. Nordic co-operation involves a certain degree of parallel language use between the three Scandinavian languages (Danish, Norwegian and Swedish) on one side, and English on the other. Danish, Norwegian and Swedish are the working languages of official Nordic co-operation. For meetings of the Nordic Council and the Nordic Council of Ministers, an interpretation service is offered between Finnish, Icelandic, and Scandinavian, but never between the Scandinavian languages. The secretariats for the Nordic Council, the Nordic Council of Ministers and Culture Fund use Danish, Norwegian and Swedish as their working languages. Since 1991, the Nordic Council of Ministers has developed close co-operation with the three Baltic republics – Estonia, Latvia, and Lithuania. English is the working language of Nordic-Baltic co-operation. In some academic and professional contexts, English is used as the language of co-operation. In some respects, it might be easier and more convenient for all co-operation to be through the medium of English. However, the fact that political co-operation is rooted in the mutual understanding of the neighbouring Nordic languages (Danish, Norwegian and Swedish) sends a positive signal of cohesion across linguistic and national boundaries. The Nordic countries have concluded several agreements on language co-operation. For example, the Council of Ministers has a special focus on listening comprehension between Danish, Norwegian and Swedish. You can read more about the neighbouring language understanding in research reports like Håller språket i hop Norden? (Does language hold the Nordic Region together? 2005), Dansk og svensk – Fra nabosprog til fremmedsprog? (Danish and Swedish – from neighbouring languages to foreign languages, 2013) and Man skal bare kaste sig ud i det (Just take the plunge! 2016).